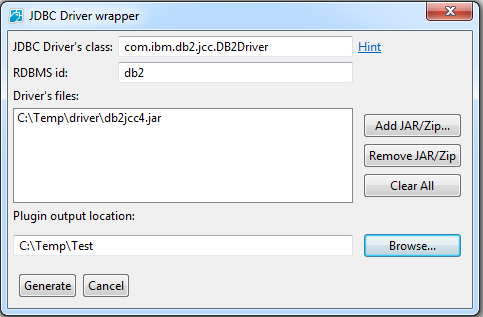 Andrejus Chaliapinas has contributed a new project - XPages JDBC Driver Wrapper. Below is his description. "For quite a while XPages Extension Library v9.0 for OpenNTF contained functionality for connectivity to Relational databases. That connectivity required so far additional manual and not very intuitive step to wrap specific JDBC driver into Eclipse update site properly recognizable by IBM Domino platform. This XPages JDBC Wrapper plugin for Domino Designer simplifies this task via UI dialog and generates needed update site, which could be then imported into Domino hosted Update sites NSF, thus enabling XPages applications use selected database vendor."